4G Mobile Broadband is rapidly expanding throughout the world. HSPA and LTE are delivering new services and apps to billions of smartphones, M2M and connected devices. 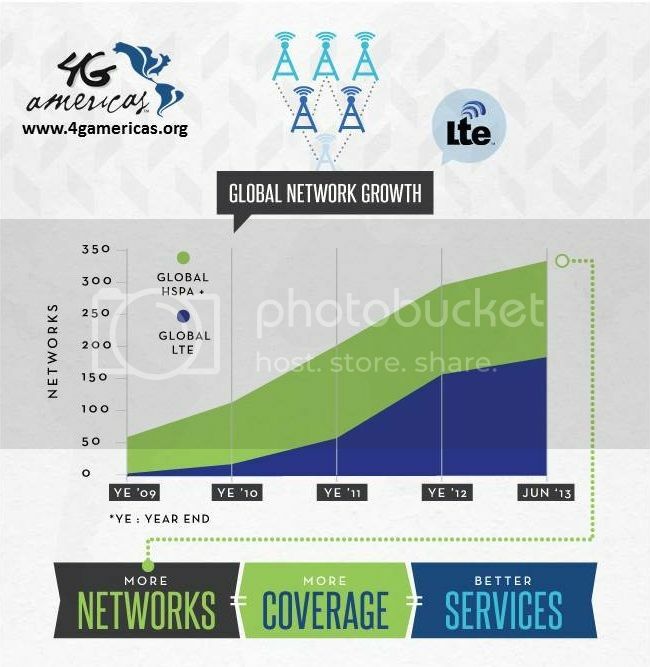 4G Americas is proud to present to you an infographic that provides a snapshot of 3GPP mobile cellular technologies today and in the future plus the spectrum crunch that could darken our screens. You are welcome to print, post and share! Here’s one frame – see the full infographic by clicking here.